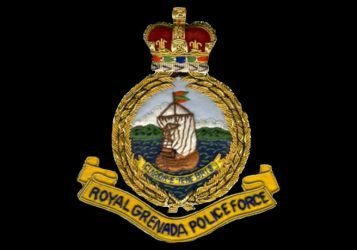 The Royal Grenada Police Force (RGPF) would like to inform the general public that normal operations at the South St. George Police Station will recommence from 4 pm today, 24 September. Owing to a fire on 10 September, the station was temporarily relocated to the neighbouring Youth Centre. The RGPF apologises for the inconveniences that may have been caused and assures the public of its commitment in continuing to provide the services so needed to the general public. The RGPF would like to thank the general public for their assistance with the clean-up efforts on the night of Tuesday 23 September, in the Black Forest-Vendomme area, St George. At approximately 8:40 pm police received information about a fallen tree in the area, which obstructed the flow of traffic and resulted in the temporary closure of the Grand Etang route. The RGPF commends the spiritedness of the emergency response teams from the various utility companies and other volunteers including police officers who worked feverishly in ensuring that the road was made passable by midnight. Thanks also to the media for their continued support in keeping the general public informed. In other news, a tool kit found in the vicinity of the town of St George, is currently at the Community Relations Department, Police Headquarters. The owner is asked to collect same with proper identification.